Emmeline Pankhurst’s life is largely studied in the context of the fight for women’s suffrage in the early 20th century; however, she in fact had a much wider spread of interests and campaigns. By defining Emmeline solely as the leader of the suffragette movement, we are limiting the ways in which she can be remembered as she fought with great success for equality throughout her life. Her fight for the women’s movement took her all over the world and she was a particular inspiration to women in the United States. She forged personal connections and was known for her great charm and passion, writing letters to the artist and activist Elizabeth Robins in which she calls for more determined action as they worked together to enlarge each other’s visions. Elizabeth’s personal letters show how impressive Emmeline was, describing her as “one of the Great People of our time” and lauding “what a force behind her frail face”. Pankhurst toured all over North America, giving lectures in women’s rights and sharing tactics and complaints. As part of her efforts to help the country during the First World War, she organised rallies and gave speeches urging women to work while their husbands were at war. Along with Christabel (her eldest daughter), she became a devoted advocate of the “white feather movement”. Her commitment to the war effort extended further than just in England – even seeing her tour North America in 1916 with the former Secretary of State for Serbia in order to raise awareness and support for Serbia as it fought against Germany’s push East. She showed a particularly philanthropic concern in her appeal for help for the country’s starving children and elderly. Additionally, she campaigned for the US to enter the war and help Britain. While in Canada on this tour, her stay overlapped with a period of tension between the French-Canadians and the English-speaking Canadians as the French wanted to separate. This led to Emmeline campaigning for equal rights for both nationalities, the compulsory teaching of French in schools and a call for them to unite and fight a common enemy during the war. Overcoming the hostile response she received from the French Canadians, she nevertheless pursued her campaigning in Canada. In1918, she returned to America, once they had entered the war, and urged her sister suffragettes to put aside militancy for support of the war effort, and at this point she also began to lecture on the dangers of Bolshevism. However, the war also moderated her strong views; with the rising number of “war babies”, and the injustice that she felt that these babies were bound to suffer as a result of having absent fathers, Emmeline turned her attentions to protecting them. She thus tried to establish an adoption home in London for such babies, canvassing the members of the WSPU for money. However, few were willing to sponsor the project and many were angry as they felt that Emmeline had abandoned the women’s movement. The WSPU was united in feeling that Emmeline was an autocrat and did not consider the interests of the majority when touring and making decisions. Despite this, Emmeline managed to convince four women to sponsor the lives of four girls, whom she adopted from a home in London. Many were shocked at Emmeline’s decision to adopt these babies at her age of 57 however Emmeline expressed that she gladly would have taken more. In 1917, the British Prime Minister David Lloyd George paid for Emmeline to visit Russia, where her autobiography had sold very well. In line with her support of the war effort, she wanted to put pressure on the Russian Government to reject a peace agreement with Germany which she felt would greatly damage Britain in the war. While she was not successful in this venture, the trip changed her views and roused in Emmeline a fear of Bolshevism, which she fought against in her trips to North America. When she returned from Russia, she found that Christabel had succeeded in founding a home for the “war babies” and had converted a large house on Aubrey Road into a nursery and adoption home for such children. Emmeline later moved to Canada with her adopted children, as during her time touring North America she had begun to feel that Canada fostered more social equality. There, she began to campaign for the sexual health of women and fought against venereal disease. She referred to her fight for gender equality through this new method as “the greatest of all crusades” and dedicated seven years of her life to touring through Canada lecturing on venereal disease and social hygiene. Emmeline felt that venereal disease was a manifestation of the very worst of society and was even linked to Bolshevism (of which she was an avid protestor). As well as campaigning against venereal disease, she also promoted the Empire. To Emmeline, the Empire was a great tool that could be used to cure poverty and act collaboratively to eradicate social inequality. Before her death in 1928, Emmeline decided to run for a parliament for the Conservative Party at the age of 69. 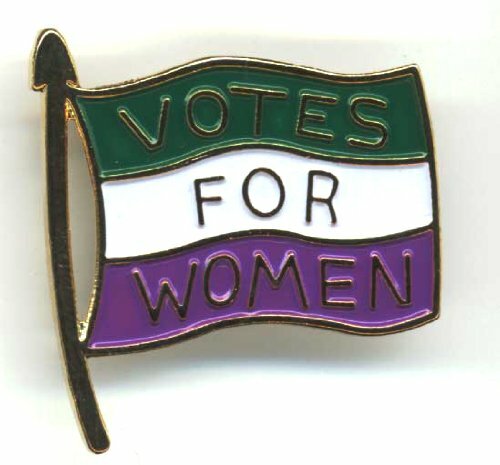 Although she died before the Equal Rights Act which gave men and women equal rights to vote – and before the parliamentary election – this shows that, to Emmeline, her age did not hinder her commitment to her causes as she tirelessly continued to campaign for social equality. 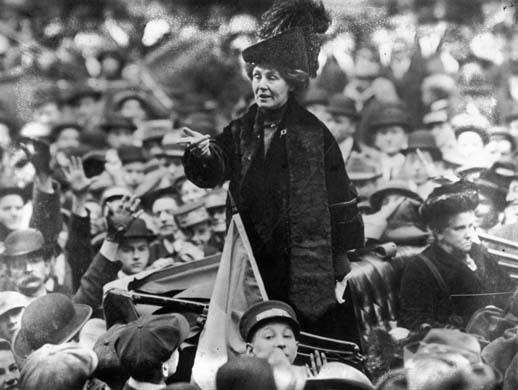 Emmeline Pankhurst was a strong advocate of many causes and dedicated her life to those who were not able to enjoy the rights she felt they deserved. Whether fighting for the welfare of orphaned babies or campaigning for women’s rights (which she did in all manner of ways), her life cannot be restricted to estimations of her actions for women’s suffrage in the 20th century. Such an outlook would be to ignore her other efforts and achievements that, although often marked by her own autocracy or a lack of support, never hindered her determination to use her passion and strong convictions to fight for greater social equality for all. I’ll bookmark your blog and check again here regularly. I’m quite certain I will learn a lot of new stuff right here!